From New York Times bestselling authors and renowned leadership consultants Adrian Gostick and Chester Elton comes a groundbreaking guide to building high-performance teams. Based on a groundbreaking 350,000-person study by the Best Companies Group, as well as extraordinary research into exceptional teams at leading companies, including Zappos.com, Pepsi Beverages Company, and Madison Square Garden, the authors have determined a key set of characteristics displayed by members of breakthrough teams, and have identified a set of rules great teams live by, which generate a culture of positive teamwork and lead to extraordinary results. 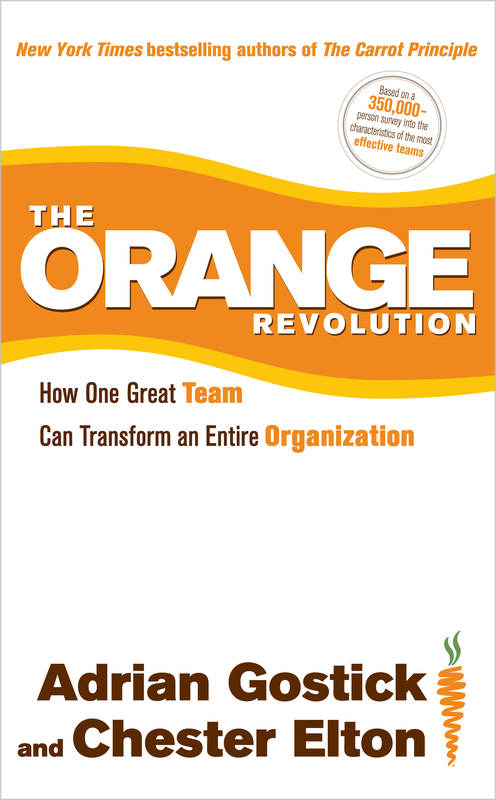 The remarkable stories they tell about these teams in action provide a simple and powerful step-by-step guide to taking your team to the breakthrough level, igniting the passion and vision to bring about an Orange Revolution. In fact “the Old Man,” as “the boys” affectionately called their boss even before his hair turned gray, preferred to work at night when the team would not be interrupted by distracting visitors. As a result, Jehl often began work at 7:00 p.m. and continued until 7:00 the next morning. As Jehl finished removing the air from the bulb, the Old Man called his glassblower, Ludwig Boehm, to fully seal off its base. Over his head, twelve telegraph wires formed an intricate spider’s web, all ending at a large battery at the center of the room. Placing the bulb on a test stand, the Old Man connected it to the nearby battery. Suddenly, the room was awash with light that illuminated work tables, machinery, and jars of chemicals on glass shelves lining the walls.The men quickly fell into the usual laboratory routine to observe the light’s brightness and steadiness. They waited to record the moment when it finally burned out. But this experiment played out differently than ever before. While earlier filaments had burned out within several hours, the carbonized sewing thread that Batchelor had carefully threaded into the bulb stayed lit. As the hours passed, team members came and went: head machinist John Kruesi, who translated sketches into working devices; Francis Upton, the American scientific researcher who proved the concept mathematically; and John Lawson and Martin Force, laboratory assistants. Each of them felt a growing excitement at having earned a front-row seat to the historic event. They understood better than anyone else the difficulty—and benefits—of earning a place on the Old Man’s team. The Old Man’s name? Thomas Alva Edison. On October 22, the remarkable bulb dreamed up by Edison, drawn by Batchelor, mathematically proved by Upton, built by Kruesi and Boehm, and tested by Lawson, Force, and Jehl, burned for thirteen and a half hours, with a light described by the New York Herald’s Marshal Fox as, “the mellow sunset of an Italian autumn… a little globe of sunshine, a veritable Aladdin’s lamp,” before Edison determined he had seen enough. “If it will burn that number of hours now, I know I can make it burn a hundred!” he cried exultantly. If you were asked who invented incandescent electric light, and you answered Edison, you’d be right and you’d be wrong. The revolution that Edison wrought was the product of a team. That’s how he thought of it, and that’s how the team thought of it. For some reason, it’s easier for us to assign credit to a single person than to a team. We love the idea of a lone genius, the mastermind, the hero. From an early age, we’re indoctrinated with the single-achiever ideal in school. Our textbooks boil things down to their simplest form, and for a fifth-grader, it’s easy to say that Edison = lightbulbs. The reality is very different. Here’s what geniuses do: they build great teams. That’s not to say Edison didn’t care about the process: quite the opposite. He was intensely interested, neglecting sleep and personal hygiene to pursue his inventions. Edison was known to “flit” around the factory in a black floppy-rimmed sombrero and dirty suit with his hair uncombed, checking in on his teams of experimenters—examining and instructing, but rarely interfering. He recognized that by allowing each of the talented people he’d assembled to stretch and succeed independently of him, he got the best results. Unbelievably, Edison—one of the most brilliant minds in the world—had accepted that he alone did not possess all the answers; but together, his team usually did. Edison shared the vision, the work, the fun—and the rewards—with his team. One lab assistant described his work as “strenuous but joyous.” In a letter to his father, Upton wrote, “The strangest thing to me is the $12 that I get each Saturday, for my labor does not seem like work, but like study.” Key team members received shares in Edison’s companies and he let them invest in the projects to which they contributed. Perhaps most significant, when the time came to expand operations, Edison rewarded members of his team with leadership positions at the new companies, enabling many of them to retire wealthy men. In the early 1970s Kenneth Bruffee, an English and composition professor, introduced the then-radical argument that students learned more through group work than when listening only to their teacher. And collaboration has also been shown to benefit the almighty buck. Mark Potter, along with his colleagues Richard T. Bliss at Babson College, and Christopher Schwarz at University of California at Irvine, set out to discover the best management approach when it came to mutual funds success. “It’s fascinating,” Potter told us. “If you’re wondering where the safest place is for your money—a team-managed approach is much less risky.” In their research, Potter and his colleagues measured three thousand equity mutual funds over a twelve-year period. They not only found less risk with the team approach, but as counterintuitive as it sounds, the total cost of owning a team-managed mutual fund is nearly fifty basis points lower annually than a mutual fund managed by an individual. This is just a sampling of the research that has come out in recent years regarding the power of collaboration. It coincided with technological advances that created the emergence of linked teams that could communicate faster and cheaper than could previously be imagined. Motivated by the data and the possibility of virtual, global teams, leaders have increasingly turned to teamwork to save their floundering organizations, but only in the most superficial way; and that’s the rub. Instead of referencing power and transformation, “team” has become the default word for “employee.” It is the propagandist’s cynical coercion: “Let’s call them teams; then they’ll get along better.” There is nothing about the true meaning of teamwork in its casual usage. There’s a missing link. Something’s not working. When “team” is used as simply another business buzzword—“let’s drill down and grab a take-away in this space and take it back to the team”—it diminishes what the powerful word (and concept) can really achieve. It’s gone so far that many teams in today’s companies are not true teams at all; they’re faux. Organizationally, structurally, motivationally, they are not set up to work together effectively. They’re simply vague labels placed on random groupings, or even the entire organization as a whole. And those labels accomplish nothing. Someone has told leadership that they should have teams, and so they have them. But employees are not fooled. They continue to be groups or departments of people that simply have the blanket of “team” thrown upon them. Take a peek underneath and you’ll find a group of individuals largely fending for themselves. The problem isn’t necessarily with the people, but with what they’re being asked to do: work together without the necessary relationship tools or the guidelines that provide focus. Addressing this gap of understanding and application is our purpose. Over the past two decades we’ve traveled the world, seeking out exceptional teams that are transforming their entire organizations in all types of businesses. We watched how these teams functioned, how they interacted on the job and off, how they were managed, and how they were motivated. Along the way, we collected their stories. And then we noticed how often we were repeating these stories to companies, managers, and employees who were struggling to align their teams with the right outcomes. These teams knew the treasure existed—they just didn’t have a legible map. That’s when we realized these stories were too good not to share. You’ll meet many of them in the coming pages, including Rajendra “Guru” Gursahaney and his remarkable team at Pepsi Beverages Company who developed a process that will transform the way the world drinks bottled beverages, all while saving his company more than $7 million a year in plastics costs. 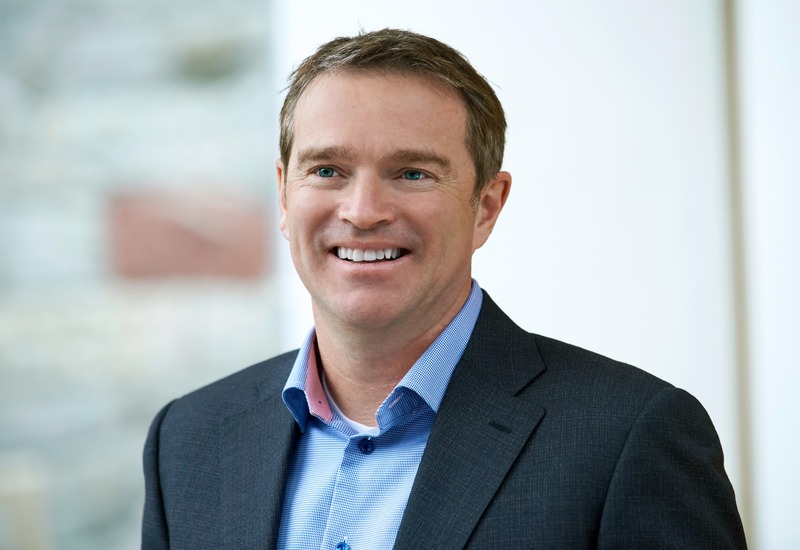 You’ll learn of Scott O’Neil’s creative marketing team that redefined the National Basketball Association after the retirement of superstar Michael Jordan and set four years of league attendance records. We’ll tell you the story of the U.S. Foodservice team that created a measured approach to grow market share and brought millions and millions in new revenue into the company… during a recession. We’re convinced these stories will inspire you; and we’ll back them up with empirical research from the Best Companies Group, which creates the “Best Places to Work” lists for newspapers, magazines, and television. The Best Companies Group’s database features more than 350,000 participants from twenty-eight industries. The most exciting part about this data is that it was collected during the worst recession in our working lives, allowing us to get a glimpse of teams functioning (and producing results) under the most challenging circumstances. What we found was unexpected—and eye-opening. We were able to statistically establish a pattern of characteristics displayed by members of the best teams, as well as a set of rules that great teams live by. Even more rewarding was the realization that these qualities could be shared with other teams, like yours. So, what sparks the first moments of a revolutionary team? What directs their journey down the road least traveled? And what awaits when you unlock the potential of true teamwork? All these questions have clear-cut answers and follow a surprisingly regimented process. First, these teams share a belief in their own ability to write the future. After all, it is people in the trenches, not senior leaders, who are the true force behind any sustained change in a company. Great teams universally reject the long-held view of the individual genius or charismatic CEO changing an organization, and instead place their faith fully in themselves and their ability to achieve. It’s a big leap of faith for a group of regular people to make, even on a good day; but it was this very type of belief in themselves, rather than their leaders, that saved the lives of one breakthrough team in the middle of the Indian Ocean seven years ago. Like most crises, no one saw it coming. And yet when water started rushing through the submarine’s hull, Able Seaman Geordie Bunting of the Royal Australian Navy (RAN) knew enough to realize that he was probably going to die. Bunting had spent his shift working in the small, lower motor room of the Collins-class submarine HMAS Dechaineux. As he worked over heavy machinery, he was constantly aware of his fifty-four crewmates above him, going about the continuous six-hour-on six-hour-off routine of the submarine crew: the off-crew either asleep in their racks, watching movies, or playing Monopoly; the on-crew monitoring the ocean around them via headsets and screens—everyone within a few feet of each other at all times. Bunting knew these people like his own family. He knew their birthdays, their middle names, their kids’ names, their habits and histories. And when he heard the ear-deafening bang and saw the water pour into the motor room, he immediately knew they were in serious trouble. Like all submariners, Bunting understood that if the Dechaineux was at a shallow depth and became damaged, he and his crewmates had a chance to escape using free ascent from an airlock. But in deeper waters the hope of rescue was almost nonexistent. Even if a diving bell could be brought in, it could take weeks to rescue the crew, and by then, the air supply would be long gone. As fate would have it, on February 12, 2003, the Dechaineux had dived to its maximum depth, well below six hundred feet, in an attempt to test its systems under full pressure. And that pressure had proved to be too much. A flexible sea hose burst. Within ten seconds, enough seawater had poured into the motor room to toss Bunting around like he was in a washing machine. Ironically, while most Royal Australian Navy recruits go through Hull Training, which simulates conditions exactly like this, submariners are exempt from the exercise. The reasoning is that if a submarine takes on water, the craft is not salvageable. Bunting, suddenly caught in that very situation, had a hard time disagreeing. “It was coming in so fast, I thought it was all over,” he said. With water up to his neck, and nearly unconscious, Bunting immediately understood that so far under the ocean surface, there was no one to save him and the rest of the crew but themselves. Meanwhile, outside the motor room, the crew instantly sprang into action, triggering an emergency override, which shut down all the external valves and stopped the water intake. Other crew members rushed to the flooded motor room, fished Seaman Bunting out by his lapel, and slammed the door shut. The water level wasn’t rising, but they all knew that at this depth, the amount of water they had taken on could very well send them to the bottom. Working quickly and with precision, the crew adjusted the controls to increase speed and the rate of ascent. At the same time, they blew out the ballast and lightened the load. Then they held their breath and waited; but the submarine did not respond. In that dreadful moment, most crew members said they thought of the 118 Russian submariners who had died just three years earlier in the Barents Sea. On that fateful day, an onboard torpedo exploded during maneuvers. Russian Navy Lieutenant-Captain Dmitry Kolesnikov was one of just twenty-three of the 118 crewmen to survive the initial explosion, only to later succumb to cold and carbon dioxide poisoning, trapped inside the hull of the crippled nuclear submarine on the ocean’s floor. Known as the “the note,” Kolesnikov’s last words are infamous among submariners around the world. Many have the words memorized. Some have nightmares about them. Fortunately for Bunting and crew, after a short hesitation the Dechaineux began slowly to respond to the crew’s frantic efforts. Working every tactic, the crew began to inch the craft upward. Soon, the submarine was rising at twice its normal rate of ascent. A few men laughed nervously as they heard cups sliding off tables in the mess hall and clattering to the floor. Still, it took three long minutes for the submarine to surface—an eternity to the desperate crew members. After reaching daylight, their ordeal wasn’t over; they faced the very real possibility that the submarine would sink before they could reach Perth, a full eight hours away. There was little they could do but pray that the hull would hold. “It was pretty bloody close, mate,” said Bunting. And he wasn’t exaggerating. Investigators later determined that had the Dechaineux continued to flood for just a further twenty seconds, the sub and its crew would have sunk to the bottom of the Indian Ocean. Twenty seconds. That was the difference between life and death. In the midst of the crisis that threatened their lives, the Aussie crew acted like a real team, the kind that makes us tear up in movies and throw our popcorn into the air at football games. No one argues with that. But let’s examine that statement more closely. What did they do, exactly, that proved their teamwork? In the face of disaster, the submariners responded quickly and protected each other. They rescued those in immediate danger. They thought creatively to solve a problem. They functioned as a support for each other, keeping cool when things looked bad. On the technical side, they adjusted controls to right the situation. They jettisoned the ballast and lightened the load with the hopes that the sub would respond. Certainly they were following their training. There was no time to consult the sub’s owner’s manual. Twenty seconds were all they had. They acted and then crossed their fingers. Here’s something they didn’t do: call the commander and ask what he thought. That’s something worth mentioning. It’s what makes this story revolutionary as an example of teamwork. In the wake of the disaster, the sailors of Dechaineux did not resort to a hierarchy of leadership, no coach on the sideline calling the final play of the game. According to the commander, the men didn’t wait for him to give orders or save them; they saved the ship. And they were ready to do it. Each member of the crew was extremely proficient at his job, and each trusted the others implicitly, and each was ready to sacrifice for the whole. Now, we’re not saying that the managers of teams don’t make a difference—or even that top management doesn’t play a vital role. In fact, we will show later how leaders can do a great deal to build such highly functioning teams. But the fact is that people in breakthrough teams report their highest loyalty is their relationship with one another—the other team members. Vince Lombardi explained it like this when asked why sports teams win. “[It’s] because the players love one another.” Love’s a loaded word. We’ll stop short of advocating love in business. What our research clearly reveals is that within the most productive teams, employees feel a heightened sense of camaraderie, considering at least one of their co-workers a close friend. They also feel their manager cares about their well-being, a dramatically human emotion. For those who prefer numbers, 63 percent of workers found office productivity to be positively affected when co-workers are friends outside of work. All these indicators clearly point to camaraderie, or even love if you choose to call it that, as a major driver of esprit de corps, which in turn drives productivity and achievement. And a wide-awake Wizard, too. The men worked together and played together and shared the same goals—establishing an immense esprit de corps that carried them through the discouraging times and toward eventual success. And yet as close as Edison was to his teammates, he did not enjoy visits from outsiders, even those who might invest in his work. He complained that each morning, the appearance of visitors would bring a night of productive work to an abrupt end. He described dreading the appearance of the “line of heads” climbing up the hill every morning to “devour” his time, so much dreading the intrusion that he expressed relief when a tornado and dramatic rain storm once arrived, because it spared him from visitors. His attitude might have been a little extreme, but not unique. Breakthrough teams regularly report feeling conflicted about the demands of senior leadership, shareholders, or other outside forces. They don’t set out to to rock the boat, but at times they realize the boat is going in the wrong direction. Because of this, many of the teams we met were at one point or another at odds with their bosses. Some had even ignored customer research or short-term shareholder gain in their drive to do what they thought was right for the organization long-term. They are not determined to be difficult, just to be the best, and that requires what we define as an Orange mind-set. Let us explain this term. Over the last few years, our series of business books has focused on “carrots,” our catchphrase for employee recognition. We even created a system to help managers understand and implement the powerful tools of motivation, engagement, recognition, and appreciation. Since then, our research has come to show us that the same practices of appreciation and recognition that create revolutionary leaders also contribute to the success of breakthrough teams. Since carrots are a foundational part of the formula for team growth and achievement, we use the term “Orange” to describe the overall characteristics, rules, and behaviors of great teams. The word “Orange” has been connected with more than a few revolutionary events in history. While most recently linked to election protests in the Ukraine, there have also been Orange uprisings in Ireland, China, England, and the Netherlands. These revolutions signal a transition—a spirited quest driven by people to improve the world around them. And whether a transformation actually occurred or not, one aspect of these historical events deserves acknowledgment—each revolution, right or wrong, was inspired by the passion of individuals: people who raised a rallying flag of Orange, believing it was the color of change. In business, an Orange Revolution possesses that same depth of passion. However, the intent is not to topple a regime. Instead, this Orange Revolution begins in the hearts of team members—focused on conquering barriers, expectations, and stagnancy. Demonstrate personal competency. Edison made determining such competency the first order of business upon meeting a potential new employee. Of course, you could make a good case that personal competence alone does not create an automatic winner. Think of athletic Dream Teams that are not the sum of their individual parts. Talent alone does not propel a team to greatness. Think of teams where some members withhold their full ability. An implied contract is broken, conflict typically ensues, and sometimes it’s quite dramatic. Take, for example, a highly profitable steel mill in the United States, where a fed-up team of steel line workers drove an underperforming teammate off the line with red-hot rods. Certainly extreme, but in Nucor’s performance culture, personal competence is required. Not by management, but by peers. It’s hot, dirty work and it takes a team to do it right. And those who don’t measure up may, quite literally, find themselves on the wrong end of the stick. Expand their competency with leadership traits of goal setting, communication, trust, accountability (what we call the Basic 4), and recognition. The Wharton School of Business and Gartner research firm once polled a group of senior leaders on why they thought their big ideas didn’t get implemented. Interestingly, many of the top obstacles related to neglect of leadership basics by managers and their employees: (1) poor or inadequate information sharing between people and business units responsible for execution (communication); (2) unclear communication of responsibility and/or accountability for execution decisions or actions (communication, accountability); (3) lack of feeling of “ownership” of a strategy or execution plans among employees (goal setting, accountability); and (4) an inability to generate “buy in” agreement on critical execution steps or actions (communication, trust). The research demonstrates the critical nature of a few foundational rules of leadership, as does pure common sense. If as an individual, I set clear goals with my manager and teammates, if I communicate openly and honestly, if I do what I say I will do and build trust, and if I hold myself accountable for hitting my goals, logic says I will be valued and appreciated. However, a lack in any of these areas will derail a team member, and can ultimately derail an entire team. As for the role of recognition, a ten-year study conducted for us by HealthStream Research shows that strong teams report receiving high levels of recognition not only from their managers but also from their fellow team members, which is unheard of within lower-performing teams. Because everyone is cheering for each other, they also report recognition happening more frequently, with more celebrations at not only the end of projects or when goals are reached, but also at smaller milestones along the way. And best of all, we were able to correlate this type of appreciation to much stronger business results, including financial performance more than three times higher than in organizations without a culture of recognizing excellence. Clearly visualize the cause. While every member of a high-performing team serves a unique role, members never lose sight of the big picture. This creates a focus that guides their cumulative effort to shared achievement. We often think of creative, world-changing teams as functioning biologically, like living cells. Cells create organs. Organs produce organisms. Organisms combine to form organizations. And if the cells in the heart don’t understand where they fit into the common cause, their function—at all levels—will be impaired. Wow—Breakthrough Teams commit to a standard of world-class performance. No Surprises—All team members are accountable for openness and honest debate, and each knows what to expect from the others. Cheer—Team members support, recognize, appreciate, and cheer others and the group on to victory. Ensure the right people join. Great managers insist on finding the necessary personnel and help the team consider candidates for their technical skills, integrity, empathy, personality, and, of course, for their ability to work well with the rest of the team. Translate corporate goals. By helping employees understand the big picture and their collective role in furthering the cause, managers help lead the team toward goals with the most impact. Facilitate rule setting. Effective managers help pave the revolutionary road by gathering their teams to establish a collective code of conduct that will become the blueprint for all decisions and interactions. Promote a culture of appreciation. Not only do great leaders recognize above-and-beyond achievements, they also facilitate peer-to-peer recognition and make their teams visible to those around the organization. This is a far cry from the list most leaders draw up when asked about their duties. We find that the majority of managers’ attention is spent focused on completing their own work or addressing the needs of clients and senior management. The majority of managers still view themselves as either the senior “doer” on a team, or as the task master who gives daily assignments. On the other hand, within an Orange Revolution model their primary role is as facilitators who smooth the pathway forward. Marilynn Brewer first described the type of give-and-take relationship that is evolving between breakthrough teams and their leaders a decade ago in the Journal of Social Issues. She called it obligatory interdependence. It’s a fancy name for a simple concept: to survive as a species, human beings must learn to depend on each other. Translated to business, the rule of the jungle is: A leader can’t go it alone. Bruce Coslett was on the same track when he described the future of American football: “The era of the rugged individual is giving way to the era of the team player.” He didn’t know he might well have been describing the trajectory of the manager’s gatekeeper role in business, but it’s true. Leaders of revolutionary teams must begin to see themselves as playing a role on the team rather than as someone outside and above their colleagues. Not surprisingly, when many managers first see this role change it can spark worries about the diminishment of the contribution of the leader. Won’t they suffer a loss of status and ownership? Here’s the twist: The more power managers give to their employees, the more those employees esteem their leaders. In our 200,000-person research study published in The Carrot Principle, we found that when managers built strong team cultures focused on recognition and member engagement, employee ratings of their managers’ skills at goal setting, communication, trust, and accountability soared. In modern revolutionary teams, the interdependent relationship of leaders and employees means everyone wins. This begs the question of why leaders would ever work against the success of their teams, since it undermines their own personal success. Sadly, most leaders undermine their teams unwittingly, simply by conforming to in-vogue management practices. Unbelievably, in the corporate world, it has become common practice to share skill sets between areas by reassigning employees every two years. The result is total disruption of any camaraderie that might be developing within a group. Overly optimistic leaders believe that employees should feel esprit de corps for the organization as a whole, not a certain department. Unfortunately, that’s typically not realistic. Few people bond with a soulless organization or senior leaders they see only a few times a year, and few employees feel even a Herculean effort on their part would have an impact on the organization as a whole. Since the earliest human history, we have bonded first with those immediately around us, those we work and play with every day. So when we clear-cut a department, and break up a highly functioning team, we also sever the esprit de corps that has been developing over years between the people in that group. That kind of trust and chemistry doesn’t spring back up overnight. It takes time to grow. Knowing this, it’s no wonder as many as 40 percent of senior people fail in new roles; their support network has been pulled out from under them. In contrast, however, the vast majority succeed when they are transferred as part of a team. Fortunately, some companies are beginning to recognize the role of team dynamics in achievement. Nokia, for example, moves entire teams when it needs to share skill sets, thereby maintaining relationships and the revolutionary spirit that powers innovation and benefits everyone, including leadership. Online retailer Zappos encourages teams to laugh and bond together—while they’re still on the clock. Around the world, we’ve been privileged to document the successes of companies, like these, that are waking up to the value of camaraderie in achieving business results. Still, skeptics remain; and, really, who can blame them? The hype about teamwork through the years turned out to be much ado about nothing. If you harbor some doubts yourself about the value of team-building efforts, let us introduce some eye-opening findings captured during our fall 2008 global study by Towers Perrin (now Towers Watson). Look what happens to employee engagement when teamwork is more than lip service, when we make commitments to interact and work differently, when we let go of the old way of seeing things and view our role at work in a new way. At the left, the 64 percent engagement number shows us that today, some 36 percent of the global working population is not personally invested in their work. In short, they don’t care. But see how the number of engaged workers increases when employees are organized into motivating teams, increases again when members of the team cheer and recognize each other, and increases to 75 percent when team members understand the big picture and how their work impacts it? Feeling part of an authentic team that cheers for each other and has clear goals leads to higher engagement wherever you are in the world, from Brazil to Germany, Singapore to Mexico. We have been lucky enough to see, firsthand, the immense power of breakthrough teams illustrated during our travels. As you continue to read, you’ll get to see that power as we did. One of our favorites was the maverick team that decided it could reduce manufacturing time from one week to one day. Instantly a new standard was set for all to follow. In another organization, a customer service team showed an entire organization the new mark of excellence in product knowledge. Overnight, R&D, marketing, and distribution were inspired by new perspectives on old products, methods, or policies. Within a large restaurant chain, one small group introduced new menu items and process improvements that the entire chain adopted, followed by every one of their competitors, changing an entire industry for the better. As a profit finder—engaging the people and teams that already exist to enhance the strength of a company. As an organizer—giving you the steps to structure teams that will realize their hidden potential and create extraordinary results. As a possibility guide—opening a collective thought process between team members, employees and managers, and executives and staff about the potential of synergistic teams and leveraged strengths. As a reference manual—spotlighting the successes of other teams and providing easy-to-follow “how-to” applications. You say you want a revolution? We all want to change the world, right, even if it’s just our part of it? And the amazing thing is that you absolutely can. You just can’t do it alone. “From the first story to the last, The Orange Revolution captivated me. Chock full of solid research, inspiring stories and practical tips on how to turn your group into a breakthrough team. Their 100 ways to bring your team together is alone worth the price of the book. 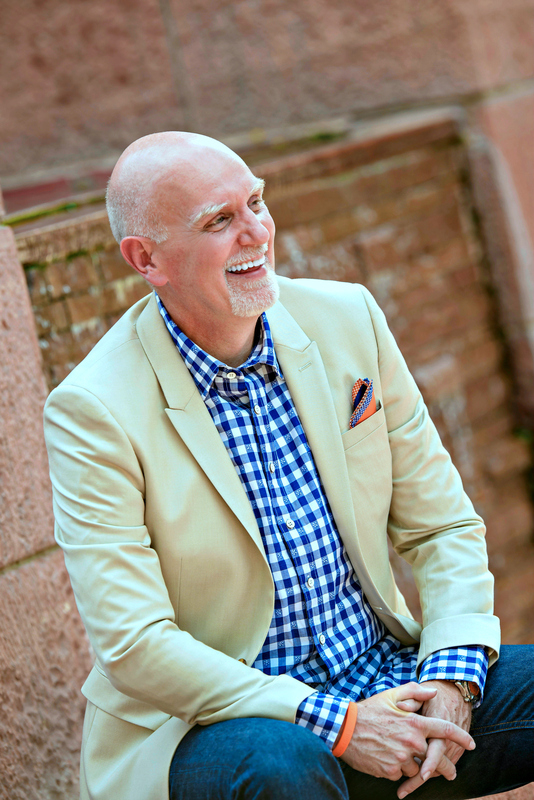 —Jim Kouzes, coauthor, The Leadership Challenge and The Truth about Leadership. —GJ Hart, President & CEO, Texas Roadhouse, Inc.